** "THE DESTRUCTION OF YOUR OWN NATURAL PROTECTIVE MECHANISM"
Mr. Irons discusses the political, social, philosophical and spiritual ideals that have led to the degradation and destruction of the "civilized" man´s Natural Protective Mechanism (the colon). "A GUIDE TO LIVING FOODS"
** "COLON HEALTH – THE KEY TO A VIBRANT LIFE!" – Norman W. Walker D.Sc., Ph.D.
"A MEDICAL DOCTOR´S GUIDE- HOW TO ALWAYS BE WELL"
– William Howard Hay, M.D. ** These can be purchased from us. Please call (800) 544-8147 (within U.S.), (816) 221-3719 (foreign inquiries) for more information. - This film takes a timely and hard-hitting look at how the food we eat is helping or hurting our health, and what we can do to live (and eat) better. - This documentary chronicles the rigorous healing path -- including a two-month diet of fruits and vegetables -- that two men attempt in a bid to rescue their health. - Genetic Roulette provides compelling evidence to help explain the deteriorating health of Americans, but also offers a recipe for protecting ourselves and our future. - A non-profit education foundation committed to reversing the trend of declining health in our modern world. Teaching both the public and health professionals the proven principles from nutrition pioneers Weston A. Price, Francis M. Pottenger, Jr., and other leading health experts. - To promote access to all health care information, services, treatments and products that the people deem beneficial for their own health and survival; to promote an understanding of the laws and factors impacting the right to access; and to promote the health of the people of this nation. Robert D. Irons, NHFC Board Member, passed away July 1, 2013 at St. Luke's Hospital in Kansas City, Missouri. Robert was born April 19, 1975 in Red Bluff, California to Victor and Julia Wintar Irons. 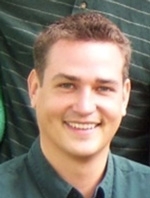 Robert was a 2004 University of Missouri graduate, with a PhD in Nutritional Immunology. After he completed his Post Doctorial work he worked at the National Institutes of Health in Bethesda, Maryland. In recent years he worked for his family’s company, V.E. Irons Inc. V.E. Irons, Inc. was founded in 1946 to produce and distribute a superior line of pure and natural vitamins, minerals, and internal cleansing aids to help people achieve their optimal health. The founder, Victor Earl Irons, was a 1919 Yale Graduate and nationally renowned nutritionist and health freedom fighter. World Health Freedom Assembly 2006. Robert, like his father and mother, was an inspiration to everyone who had the honor of walking life’s path or working with him. A sharp and astute mind, a tender loving warm heart, a vigorous visionary and problem solver, Robert’s ideas and visions were endless and only limited to his human form. Robert was deeply proud of his heritage as the young son of Victor Irons and Julia. In his studies and research he went intensely into the area of how nutrition is key to all health, walking firmly in his father’s footsteps. National Health Freedom Coalition was honored to have him as a Board Member and Chairman of the Drafting Committee for the International Declaration of Health Freedom, and co-designer for the United States Health Freedom Congress’s meetings in Chicago, Illinois. We thank you Robert. You are a young bright light for us all and we will work to carry your enthusiasm and persistence forward as we continue establishing the foundation of health freedom in our country and the world. Robert’s survivors include his wife, Felicia; two children, Alexa and Ethan; mother, Julia Irons of California; sisters, Marlene Amen (Trent) of California and Victoria Irons of Missouri; father-in-law, Ronnie Salmans of Alaska; mother-in-law, Linda Salmans of Missouri; and niece, Kathy Irons (Jeffery Levin) of California. Robert was preceded in death by his father, Victor Irons.